Executive Summary. A strategical analysis is a key component of every new or old company. Mission statement, vision statement, value statement and the alignment of those with the stakeholder’s interests are primary point of interest to identify a company strategy, both for internal and external actors. Giving its importance, it is fundamental to look and observe other companies to learn the best practice possible. This paper take a look at one of the greatest corporation worldwide, the Coca-Cola company, looking point by point at its mission, vision, value and alignment to observe the strategy of the firm. 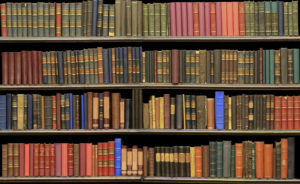 The introduction gives the purpose of the paper and the methodology. The main body of the paper describe and analyze the mission, the vision, the value and the alignment of those elements, while the last section of the main body propose some changes in those to make them better and more functional. Then, the paper is synthesize in the conclusion, stating that while minor changes are always a good practice, the strategical analysis of the firm proves that a clear strategy is a necessary element in every company that want to become as successful as the Coca-Cola company. Introduction. 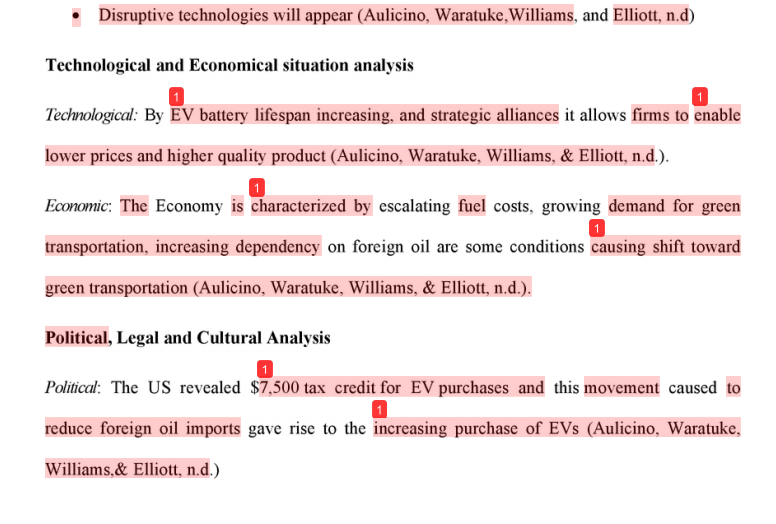 This paper is a strategical analysis of the Coca-Cola Company, where it is intended that a strategical analysis is a tool to help business define its strategy to operate in a business (Business Dictionary, 2018). A strategy is a series of actions designed to reach a certain goal, and it is a fundamental step in both new and old companies, because it helps them plan each move in order to achieve specific objectives (Hammonds, 2001). In order to understand the strategy of the Coca-Cola Company, the paper is going to focus on the mission, the vision, the value and the alignment of those three elements with the stakeholder’s interests. For every element a brief definition I will give a brief definition, and then analyze how the company’s strategy is present in the element. Before the conclusion, I will propose two changes to those to make the overall strategy more functional. The major sources I used to write this paper were the Coca-Cola website and the latest Annual Report of the Coca-Cola Company, plus other books and various credible web site sources where needed. Company’s Mission Statement and Analysis. “To refresh the world… To inspire moments of optimism and happiness… To create value and make a difference.” (Coca-Cola, 2018) is the official Mission Statement of the company, as reported in its website. 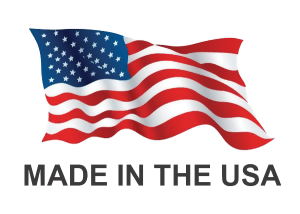 A Mission Statement usually identifies the scope of the company, its purpose, and the geographical sphere of influence (Hill & Jones, 2008). Taking a first view of the Mission Statement of the Coca-Cola, it could be difficult to find those elements, but looking in depth, just the first four words of the Mission provide some insights on the strategy of the company. First of all, the statement address the globally power of action of the Coca-Cola, stating that the region in which the business wants to operate is the entire planet, addressing the size of the strategy implements by the business (Ferrel & Speh, 2017). Second, all the sentences that make the statement describe the purposes and the objectives of the company. While the scope of the Coca-Cola sounds more philosophical than practical, it is important to note that those type of Mission Statement tends to have a bigger impact on both shareholders and stakeholders, because it says something about the principle behind the company, and also it tells what the company aspire to become: in this specific case, the Coca-Cola wants to be associates with happiness and optimism (Svendsen, 2013). While from a standard point of view, it may seems that the Coca-Cola has mixed mission and vision, an in depth analysis suggests that the mission statements provides the right elements, but they are put in a way that suggest a difference, and by doing so, it reinforced the message of the last sentence of the statement itself, creating a difference. Company’s Vision and Analysis. The Vision of the company is divided in six points. For each point, the corporation gives its Vision Statement, which is traditionally a map of what the company aspire to achieve in the middle-long term future (Kantabutra & Avery, 2010): therefore, the Vision Statement is a powerful tool to get more than a glimpse of the company’s strategy. In this specific case, the structure of the vision is already telling of what are the commitments of the Coca-Cola for the future. Those six points represents also a guide for the annual report of the company as well (Coca-Cola Company, 2016). While they don’t describe the strategy of the business, they do describe what the society wants to achieve. Analyzing those points, some of them are also practical, like portfolio and productivity, while all of them include also a reference to values and more abstract objectives. This is in line with the Mission Statement, and it continuously supports the idea that the company is trying to achieve an association between its brand and the idea of happiness, fulfillment and optimism (Svendsen, 2013). Another element of continuity with the Mission Statement is that this Vision is not the standard vision for a company, and it could seem that Mission, Vision and Values are mixed up, while from a different point of view, the Coca-Cola Company’s strategy is to embed values into its vision and mission (Cramer, Van Der Heijden, & Jonker, 2006). Leadership: The courage to shape a better future Collaboration: Leverage collective genius Integrity: Be real Accountability: If it is to be, it’s up to me Passion:Committed in heart and mind Diversity: As inclusive as our brands Quality: What we do, we do well (Coca-Cola Company, 2018). A value statement is a declaration about the priorities and beliefs of the company (Business Dictionary, 2018). The value statement of the Coca-Cola is a direct product of its Mission and Vision Statement, plus some other elements that can tell something about the strategy of the firm, like leadership and accountability. Again, this value statement supports the notion that the main strategy of the Coca-Cola Company is to link itself to a wide arranges of positive beliefs (Svendsen, 2013). The inclusion of Diversity in the value statement has naturally a link with the Mission Statement, but also it can tell that the Company’s long term strategy is to embrace this concept in a moment where this principle has gain a primary historical momentum, where the importance of inclusion in workplaces is never been so stressed by media and communities alike (Dryzek, 1996). Alignment of Company’s Mission, Vision, Values, and Goals with Stakeholders’ Interests. A stakeholder represents simply entities that have some kind of interests with the company (Merriam Webster, 2017). The stakeholders of the Coca-cola Company are Bottling partners, Consumers, Customers, Communities, Employees, Governments and regulatory authorities, Non-governmental organizations (NGOs), Shareowners and analysts:, Suppliers and Trade groups and industry and policy organizations (Coca-Cola Company, 2018). Every entity has its own stake, and the alignment of the Company’s Mission, Vision and Values with the Goals of each stakeholder is important to assure that the strategy choose by the firm is shared with all the parts involved (Hammonds, 2001). First of all, part of the strategy of the company could be glance only by the inclusion of certain elements in the stakeholders group, like the NGOs, because it serves as a solid proof of the commitment of the firm with certain values (accountability) and vision (planet). This connection provide continuity with the elements of the analysis, and more over, looking at the annual report (Coca-Cola Company, 2016) and the sustainability annual report (Coca-Cola Company, 2016), is it possible to find points that convert in action those statements. Second, it is possible to connect the stakeholder interests with one or more point of the value, vision and/or mission, creating an impression of continuity and alignment throughout the elements of this analysis (Cramer, Van Der Heijden, & Jonker, 2006). Moreover the annual report (Coca-Cola Company, 2016) reference multiple times one or more of the elements of the current analysis, giving a concrete testimony of the will of the firm to be identify with good beliefs and value (Svendsen, 2013). Recommended Changes. While it may seems as changes are not necessary in this specific case, it is always possible to achieve better results, so there are two changes can I can propose to lightly adjust certain elements. First, the global presence of the firm can be reiterated in all the mission statement. “To refresh the world… To inspire moments of optimism and happiness everywhere… To create value and make a difference globally.” This reinforcements, while cannot be considerate as a top priorities, could give a new strength to the mission statement and help all stakeholders to identify themselves with the mission of the company (Cramer, Van Der Heijden, & Jonker, 2006). Second, while it is not a common idea, and I could not find other companies that have done the same in the past, it could be helpful and original to have a better view of vision, values and mission in an annual report made specifically for the customers and other stakeholders involved beside investors. This type of report should not be formal or legal, but could help the company show what it is achieved through the year in terms of all the vision and the values, create a climate of even more accountability. This report would also create a clear difference from the standard by which the customers are accustomed, rising awareness about the adherence of the Coca-Cola Company towards its mission, vision and values. Conclusion. 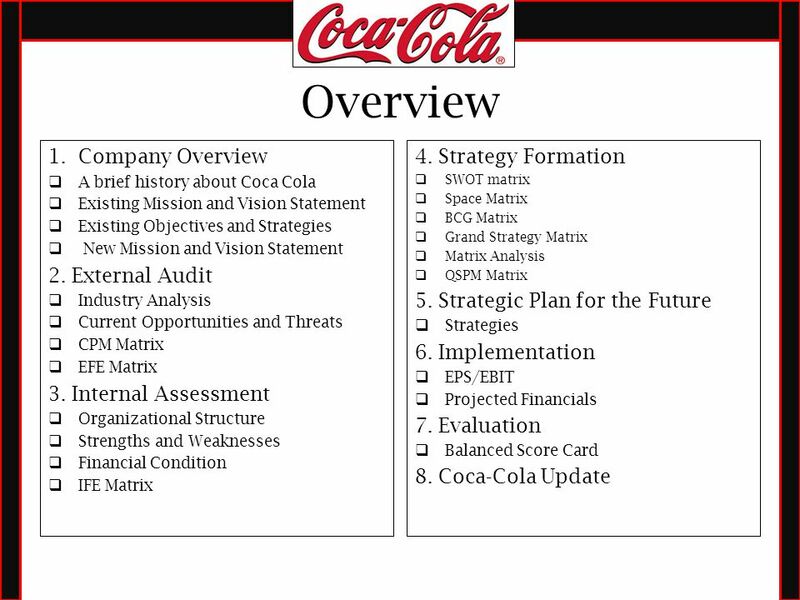 This strategical analysis of the Coca-Cola Company has considered mission statement, vision statement, value statement and the alignment of those elements with the interests of the stakeholders. The analysis has prove a great effort of continuity and alignment with all the different parts considerate by the paper, giving the idea of a behind the scene strategy well thought and put in action (Hammonds, 2001). Moreover, it seems clear that the first priority of the firm is to become associated with good values such as happiness and optimism, as demonstrated in the mission, in the vision and in the value. Some changes are always possible to improve those elements, but the Coca-Cola Company is perhaps one of the few companies worldwide that have a strategy that is clear in every element of the company itself.